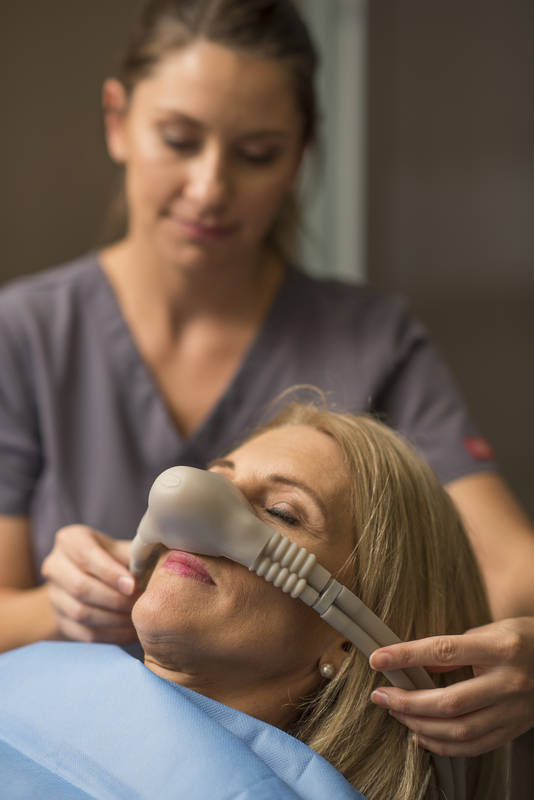 Dr Webber is the only Oral and Maxillofacial Surgeon on the Gold Coast who uses Nitrous Oxide ("happy gas") in his rooms as a form of sedation. It is excellent for anxious patients having uncomplicated dentoalveolar and implant surgery. Unfortunately, however, it may not be suitable for all patients and some complicated oral surgical procedures. Happy gas is an inhaled agent that helps decrease anxiety and is used in combination with local anaesthetic. Patients are still awake and aware but are much more relaxed. For further information or to contact us please call 07 5527 8858.